[From CBS Radio Sports] With the Olympics just behind us, the saga of Ryan Lochte is fresh on the mind’s of the people who watched it unfold in Rio. The United States walked out of Rio with an astounding 46 gold, 37 silver, and 36 bronze medals compared to Great Britain, the second most decorated country, with 27 gold, 23 silver, and 17 bronze medals. The Lochte fiasco was considered by many to be a distraction from the US achieving the pinnacle of athletic superiority, having nearly double the number of gold medals as second highest Great Britain. 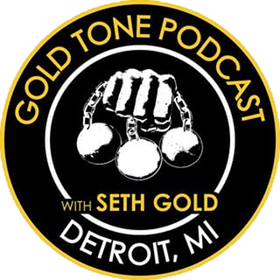 My father, Les Gold, and I had the privilege of having gold medalist, boxing legend, and king-of-the-grill, George Foreman, on my Soundcloud podcast Gold Tone. Foreman, an Olympic gold medalist at the mere age of 19, told us about his fond memories competing in the Olympics and his take on Lochte-gate. Foreman also discusses what he would’ve done differently in his career, how the George Foreman grill came about, and what happened when he realized his bank account was empty.